This post contains affiliate links. Please read my Terms and Conditions for more information. Today I will be going in depth to talk to you about how to start a profitable blog and taking you through step by step. Blogging is something that anybody can do. You can start up a blog for free and get writing, however, if you want to start a profitable blog, you will need to make sure you have a specific plan in place! When I began blogging, I had no idea that people were making such six-figure incomes from simply writing out their thoughts and posting them online. But I found it exciting that I could do the same thing. If your plan is to make money and start a profitable blog, you will want to make sure you go the professional route. Blogging has allowed me to scale my business to points that I didn’t know where possible and earn an income while traveling. Recently, I was able to earn over $1,000 in passive income — meaning it was all money I earned while I WASN’T working (aka sleeping, cuddling my dog or binge-watching Netflix). 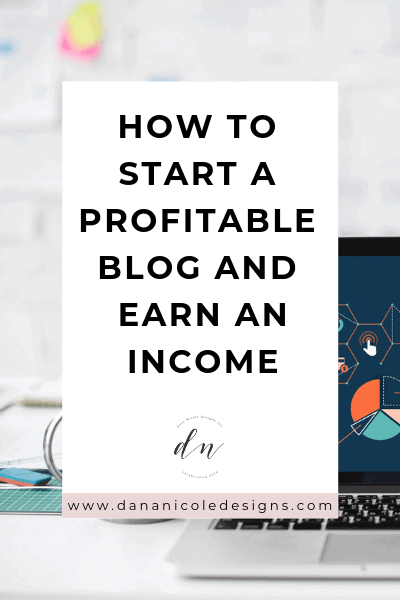 So let’s talk about the steps you need to take to start your profitable blog and how you can earn your first $1,000 in passive income! Before purchasing a domain or getting started with your blog, first decide what you will be writing about. You can write about just about anything, but it’s best to write about a few topics rather than cover a wide range of topics. When I first started blogging, I was so excited to write about everything going on in my life. I posted recipes, travel itineraries, business tips and blogs about my dog. But I quickly realized that if I wanted to start a profitable blog, I needed to niche down. Now, let’s say someone came to my website because they were looking for some tips on social media marketing and they saw I had a really great post about it. They read the post and decide they want to see more of my tips! So they click around and instead find tips on travel and a recipe for lemon meringue pie. I mean, they could be interested in my lemon meringue pie recipe, but most likely they will leave my website to try and find another one that has more of a focus on social media. Now, if someone comes to my website and reads a great article on social media marketing and they decide to click around, they will find even more articles on social media marketing. They could read a couple more, and maybe even sign up for my newsletter. In the second example, I’m more likely to attract my ideal reader and get them to convert into a paying customer, buy my products or hire me for my services. If you are a blogger who isn’t offering services that’s totally fine too! You will likely want to keep your readers around for as long as possible so you can earn passive income from advertisements, sponsored posts or even digital product sales. But I’m getting ahead of myself. More on earning money later (first you need to set up your blog)! So, therefore, your first step to starting a profitable blog is to determine your niche. There’s nothing wrong with wanting to earn an income from your blog. I’m in quite a few blogging groups on Facebook, and one thing I’ve seen come up more than once is the tendency for people to feel bad for wanting to earn an income from blogging. If you are going to be pouring your heart and soul into something, you should be getting compensated for it! You aren’t greedy for hoping to make a living by being a writer – you are entrepreneurial. So moving right along: how do you find a profitable niche? Certain niches are more profitable than others. 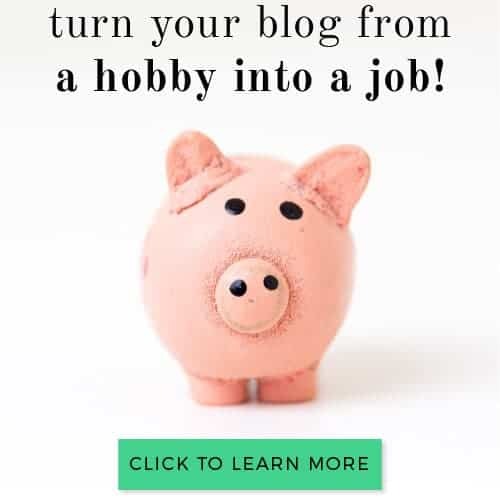 I’ve written in depth about the types of blogs that make money so you have a starting point in case you aren’t too sure where to start! For example, finance (and teaching people how to save money) is an incredibly profitable niche. And it’s something that will never go out of style (i.e. there will always be people who want to learn how to save more and get out of debt). Do you disciplined enough to write a lot about this topic? One point about this – I don’t believe you need to be passionate about what you are writing about. Many will disagree but I believe you do need disciplined if you choose to write something you aren’t super passionate about, so keep that in mind! Are you able to monetize this topic? There are different methods of monetization which we will talk about below, but you need to try and determine whether or not you’ll even be able to monetize your particular niche. Will this niche go out of style quickly (i.e. if you were writing on the topic two years from now, would people still care about it?). I use Google Trends to see whether a topic is on the decline for popularity. Enter in some broad terms regarding your niche and see whether Google Trends shows an increase or decrease in search volume for this niche! 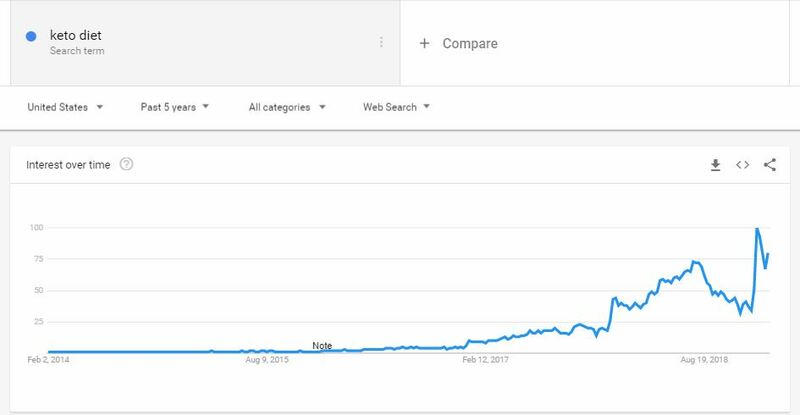 You can see how I’ve used Google Trends for the term “Keto Diet” above. This particular topic has gained a lot of popularity within the last couple years. Had the graph been downward sloping, however, you’d know to stay away from that topic/niche. If you want to start a profitable blog, you will want to find a good hosting company. And in case you are wondering, yes, you need to purchase hosting. You cannot own a website without paying for hosting! Luckily, it won’t cost you hundreds of dollars because the hosting that I recommend you use is only $3.95/month. If you want to start a profitable blog, you will want to have hosting that doesn’t have much downtown, is fast and reliable and affordable. I use SiteGround for my web hosting and recommend that all my web design clients do too. As a web designer, I’ve worked with lots of other hosts that my clients have unfortunately purchased prior to coming to me first. I can tell you firsthand that if you are serious about making money from your blog, you will need a good host that doesn’t slow down your site. SiteGround’s starter hosting plan is only $3.95 a month. I’d recommend going with the starter plan! You will also be able to purchase your domain directly through the process of purchasing your hosting. Domains are roughly $14.99, however, f you already have a domain, SiteGround will be able to help you connect it to your hosting! Choosing a hosting company can feel overwhelming as they all promise to be the fastest, so I’ll show you some stats on why I like SiteGround. Slow websites are less profitable. 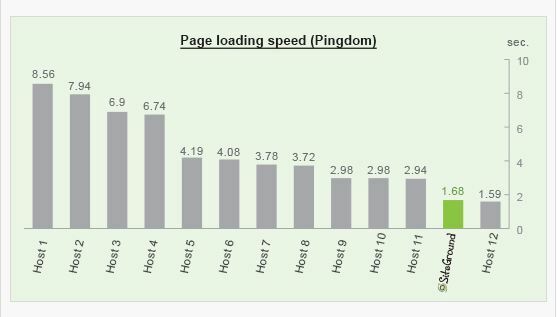 When testing the same WordPress website hosting over various hosts, SiteGround offered one of the fastest page loading times. As well, your users will click away if your website doesn’t load fast. So there isn’t much point in trying to start a profitable blog if it’s slow and nobody is sticking around to read any of it. Imagine spending years building up your blog only to have it hacked and erased within seconds. No thank you. Website security is a very real threat and you want to make sure you find a host who provides you with top security. SiteGround was the pioneer in applying effective account isolation mechanisms to shared hosting environments. Do you know what to do if your site suddenly crashes because you’ve accidentally done something on the backend that you shouldn’t have? Here’s the average time it took for SiteGround to resolve support requests versus those of some other popular (unnamed) hosting companies. 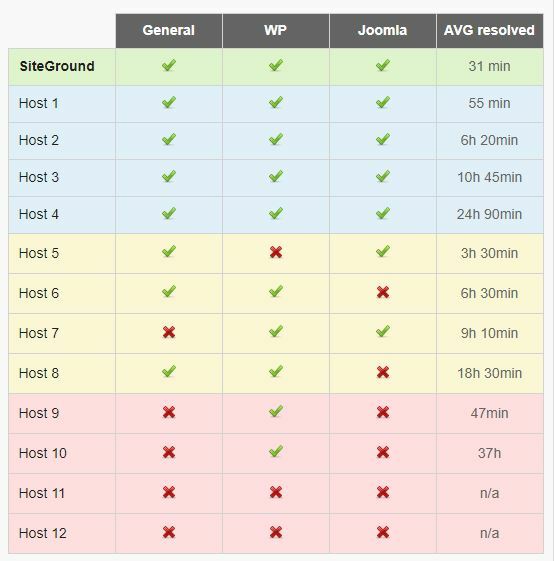 Out of the 12 most popular hosting companies, SiteGround has the best resolution time by far. With SiteGround, you have the ability to access your backups so if you ever lose your site, you can restore it for a small fee. After you have signed up with SiteGround, you will need to install WordPress. SiteGround can help you with this (for free) or you can do it yourself. Both are very easy options! SiteGround has this awesome feature where they will actually walk you through how to create your WordPress website with them, with their WordPress starter plugin! So, you can either follow my directions below, or just install SiteGround’s plugin (complete with video tutorial if you follow this link) and go from there! Now that we’ve got your website set up, you can actually customize it a little bit! You are nearly ready to start blogging! With WordPress, you have access to a library of free and premium themes. To access your themes, you will need to log into your WordPress dashboard. Your WordPress dashboard login was provided to you in the summary of your information from SiteGround above. Don’t remember any of that? Don’t worry! Remember when I said that SiteGround has incredible support? Just log in and contact their support and they will be able to tell you exactly what you need to login. From your WordPress dashboard, click on “Appearance –> Themes –> Add New”. 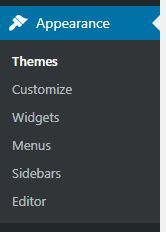 You will be able to view a list of various free/paid themes and can select one from there. I also offer web design for bloggers at a discounted rate, so if you would like to have a custom designed blog, feel free to get in touch! Now that you are all set up, you will want to start creating content. In order to start a profitable blog, you need to write blog content that people will see. If people aren’t finding your content, how will you make money? I’m going to be going over two different ways that have been the most powerful ways to get my content seen by the right people and alternatively, hit that $1,000 per month in passive income milestone. SEO (search engine optimization) has been a huge component of how I’ve been able to earn so much passive income each month and maintain a profitable blog. Google sends me targeting traffic each month because I’ve been able to figure out that formula and can land on the first page in the search results. If you want to start a profitable blog, learning SEO is something that I recommend you learn from the start! 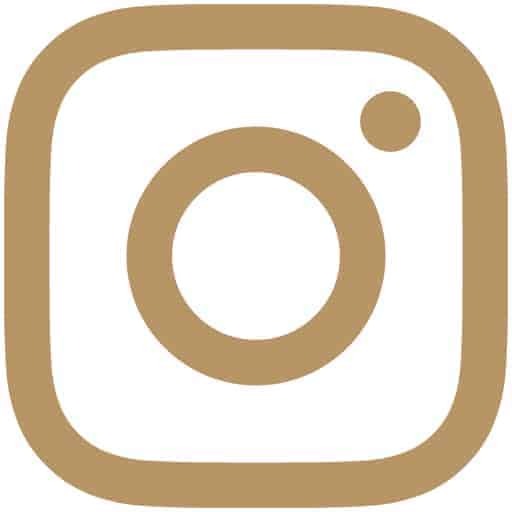 So many people put it off because they are focussed on growing their followings on social media, but I’m being honest when I say that Instagram followers aren’t going to pay your bills. You need to understand how to use keywords in your blog posts properly, how to find keywords that you’ll be able to rank for, how to find keywords that indicate someone is looking to buy and so much more. It might feel overwhelming at first, which is why I spent months developing my free SEO training for bloggers and small businesses who need to learn SEO. Sign up by clicking the link and get starting learning how you can get your conent ranking high on Google from day 1! When I tell a lot of new bloggers that they need to learn Pinterest, they usually tell me that their target market doesn’t use Pinterest. But I can guarantee that they do. In fact, I was the same way. When I first started blogging, I ignored Pinterest and I am kicking myself for not learning it sooner! 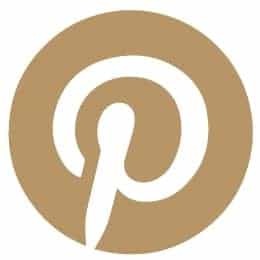 Pinterest sends me tens of thousands of visitors each week. Like SEO, my Pinterest strategy basically runs on auto-pilot so I spend hardly any time on it. 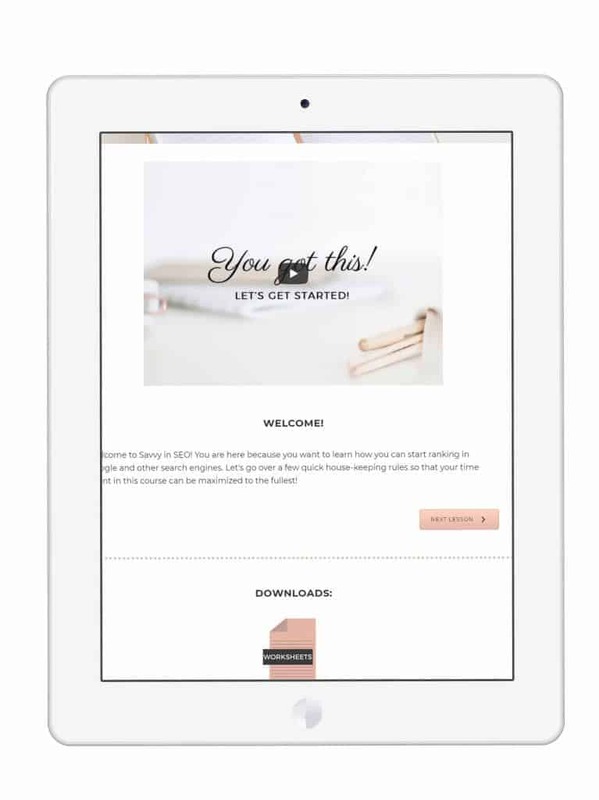 I’ve written up an incredibly detailed blog post on how to get up and running with Pinterest for your blog, so check that out. Pro Tip: Here’s my two cents. Learn both Pinterest and SEO. This past summer, Pinterest got a crazy bug that shut down a lot of blogger’s accounts and stopped sending them traffic to their blogs. Although my traffic took a hit while Pinterest worked through the bug (which took a week), Google was still sending me loads of traffic so I wasn’t worried. Alternatively, the same thing could happen with Google. It’s best to diversify! When you first start your blog, ads won’t be the best way to earn a decent income. Smaller blogs with small amounts of traffic tend to yield small payouts for their ads. Mediavine is one of the top ad networks for bloggers, and they will only accept blogs that have a minimum of 25,000 sessions. Other ad networks such as Google Adsense accept smaller blogs, so if putting ads on your blog is the route you want to take and you don’t want to wait until you hit 25,000 sessions, I recommend testing it out. You can always take the ads down if you aren’t happy with the amount you are earning! Affiliate income is basically when you recommend a product using a special link, and if your readers purchase through your link, you make a commission. I’ve used SEO to optimize my blog posts so they land on the first page of Google. Here’s an example: let’s say you optimize a blog post for the keyword “best makeup for dark skin”, which will include your favorite makeup for darker skin (and affiliate links to the products). When someone searches for “best makeup for dark skin” on Google and then click on your blog post in the search results, they are more likely to buy from your blog post because it contains content they are searching for! If you had written a blog post titled “my favorite makeup” you’re going to have a lot harder of a time trying to sell your affiliate links because suddenly your blog post isn’t catering to any specific search terms anymore. Another example: if I go to Google and search for the best chew toy for dogs, if I come across a blog post that details some of the best chew toys for dogs, I’m most likely going to click on the links and order one! As you can see, SEO makes it incredibly easy to sell through your affiliate links on autopilot. This is why SEO is so helpful and why I highly recommend my free SEO training. 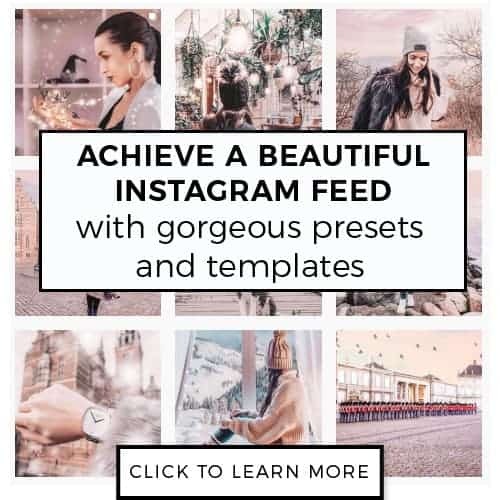 When you’re brand new to blogging and you don’t have tons of traffic, ads might not be the best option to start with! However, sponsored posts can be a great way to make money by writing product reviews. Brands are willing to pay people to test out their products and write an honest review on their blog. I’ve got an excellent post that details how you can work with brands even if you’re a brand new blogger. You might be thinking “I don’t have a product to sell” but I guarantee you probably do. DIY blogger: An instructional manual/instructional pattern to create one of your designs. This should be something intricate that your audience would have a hard time finding for free! There are lots of different ideas for digital product sales, and even more when it comes to physical product sales! If you have a WordPress website, you can use a free plugin such as Woocommerce to set up your shop and begin selling your products immediately. Starting a profitable isn’t difficult but it does take time. It’s important that you start off on the right foot because if not, you’ll be wasting months (if not years) trying to earn your first $1,000! Don’t forget to sign up for my free SEO course to help you understand and learn SEO! Hey! If you enjoyed this article, I’d love a social share 🙂 You shares help me continue to create free content! Hey! Did you know that I donate 10% of profits from the ads on this blog to my local animal shelter? If you want to help increase donations, all you need to do is share this article! I have included handy buttons at the top of this post for you to easily share it. Thank you for your support! Welcome to my blog, lovely! My name is Dana. I'm a designer who loves helping small businesses learn how they can use their websites and blogs to get more clients and sales! So grab a cup of your favorite tea and let's get started! Buy 2 get 1 FREE: All Lightroom Mobile Presets. Use code: INSTALOVE at checkout!